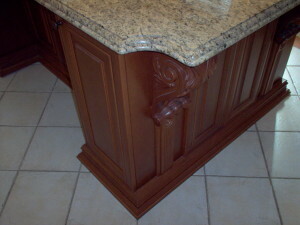 Custom kitchens, doors, and decorative wood mouldings come in a wide variety of wood species. 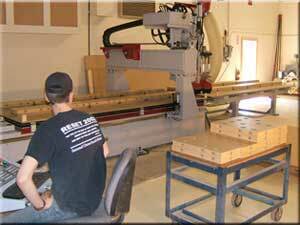 With kitchen components that are produced by state of the art CNC machines for precise squareness and trueness. Priding quality above all, our cabinets are made totally custom in height width or depth to fit properly into the kitchen area. Sides, backs and shelves of the desired cabinet color are made of 5/8 or 3/4 thick partical board or plywood assembled with blind dado technology in combination with screws for superior strength and rigidity. Quality hardware, Solid maple dovetail drawers, and softclose hinges and slides are just some of the many options available. The quality of door staining and finishing is seen at first glance.